The NVIDIA GeForce 945M is a mid-range, DirectX 12-compatible graphics card for laptops unveiled in March 2015. It is based on Nvidia's Maxwell architecture (GM107 chip) and manufactured in 28 nm. The 945M offers 512 shaders (compared to the 640 of the GTX 950M) clocked at 928 MHz. The dedicated DDR3 graphics memory is connected with a 128 Bit bus clocked at 1000 MHz (effective 2000, 32 GB/s). Compared to Kepler, Maxwell has been optimized in several details to increase power efficiency. Smaller Streaming Multiprocessors (SMM) with only 128 ALUs (Kepler: 192) and an optimized scheduler should lead to better utilization of the shaders. Nvidia promises that a Maxwell SMM with 128 ALUs can offer 90 percent of the performance of a Kepler SMX with 192 ALUs. GM107 features 5 SMMs and thus 640 shader cores, 40 TMUs and 16 ROPs (128-bit interface). Another optimization is the massively enlarged L2 cache (GM107: 2 MB). The increased size can handle some of the memory traffic to allow for a relatively narrow memory interface without significantly reducing the performance. GM107 supports DirectX 12 with feature level 11_0 only. The performance of the 945M is slightly worse than the GTX 950M but clearly faster than the 940M. The DDR3 variant of the GTX 950M is about 10 percent faster for example. Therefore, it is most suited for medium details of demanding games in 2015 (see below for benchmarks). GM107 integrates the sixth generation of the PureVideo HD video engine (VP6), offering a better decoding performance for H.264 and MPEG-2 videos. Of course, VP6 supports all features of previous generations (4K support, PIP, video encoding via NVENC API). Unfortunately, HDMI 2.0 is still not supported. The power consumption of the GeForce 945M should be somewhere around 40 Watt. Therefore it is most suited for bigger laptops from 14-inch and up. The Nvidia GeForce 920MX is an entry-level graphics card for laptops that was launched in the first quarter of 2016. 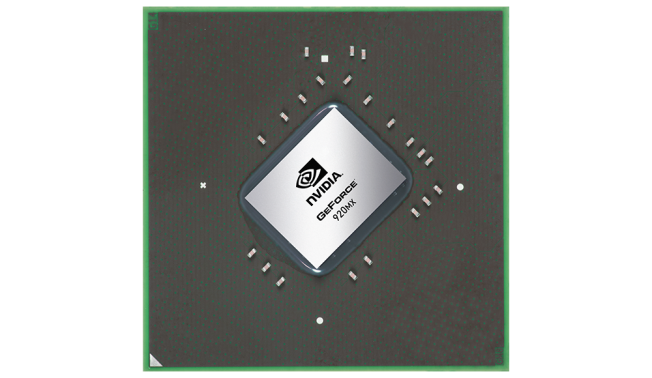 In comparison to the older 920M, the 920MX is now be based on the modern Maxwell chip of the 930MX but with a reduced shader count of 265 (GM108). According to our sources the TDP of 5-12 Watt and the support for DDR3 and GDDR5 is also specified. 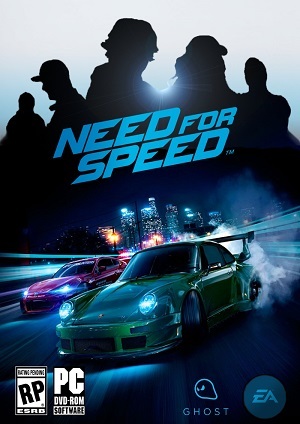 The performance depends on the used graphics memory. The DDR3 version was slightly slower than an average GeForce 930M in our tests (and definitely faster than the GeForce 920M). The GDDR5 version could therefore best the 930M slightly. However, both versions are not suited for demanding games of 2017. Less demanding games, like The Sims 4, should be playable in medium to high settings (see below for benchmarks). Thanks to the low power consumption, the GeForce 920MX is also suited for thin and light laptops. 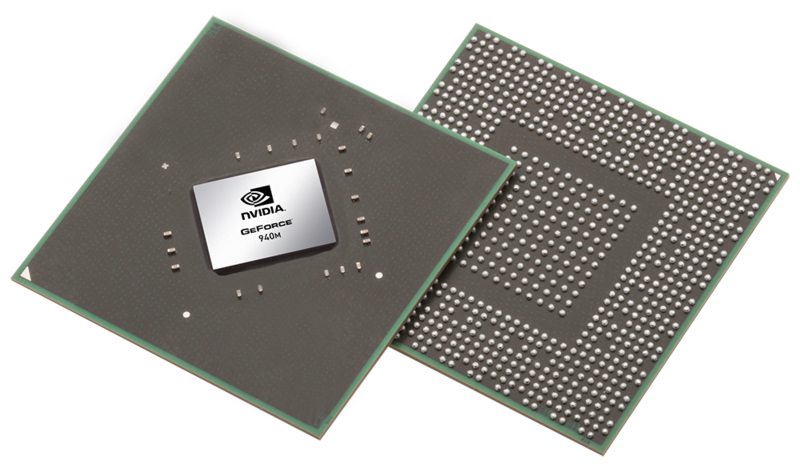 The NVIDIA GeForce 940M is a mid-range DirectX 11-compatible graphics card for laptops unveiled in March 2015. It is based on Nvidia's Maxwell architecture (GM108 chip) and manufactured in 28 nm. The 940M offers 384 shader units as well as 2 GB of DDR3 memory (64 bit, 2000 MHz effective). Compared to the previous and technically very similar GeForce 840M, the GeForce 940M is clocked just slightly higher. Compared to Kepler, Maxwell has been optimized in several details to increase power efficiency. Smaller Streaming Multiprocessors (SMM) with only 128 ALUs (Kepler: 192) and an optimized scheduler should lead to better utilization of the shaders. Nvidia promises that a Maxwell SMM with 128 ALUs can offer 90 percent of the performance of a Kepler SMX with 192 ALUs. GM108 features 3 SMMs and thus 384 shader cores, 24 TMUs and 8 ROPs (64-bit interface). Similar to Fermi and Kepler, the GM107/GM108 support DirectX 12 with feature level 11_0 only. Due to its just 5 percent higher core clock, the GeForce 940M is only marginally faster than the previous GeForce 840M and similar to the older GeForce GT 750M (DDR3 version). Many games of 2014/2015 can be played fluently in WXGA resolution (1366 x 768) and medium detail settings. However, very demanding games such as Assassin's Creed Unity will require lower resolutions and/or details. The power consumption of the GeForce 940M should be about 30 Watts or lower. Therefore, the GPU is best suited for laptops 13 - 14 inches in size and above. The 900M series also supports Optimus to automatically switch between an integrated graphics card and the Nvidia GPU.